YJ ES Latest Buzz is a trending Technology Blog where you can get stuff like Tips and Tricks, How to Section, Cracks, Softwares, Highly Compressed Games, Blogging tips and lot more. Today we are Posting KeyLemon Crack Gold 32 Bit. Have you ever Wondered how you can add Facial Recognition as a Password in Windows or Mac? I am sure you thought once. Don't worry! In this post I will give you the Crack for the Software which will let you do so. Before starting I would recommend you to read How to Add Facial Recognition Login in Windows so that you can use the software. KeyLemon is a tool that lets you add Facial Recognition as a Password in Windows as well as in Mac. Yes, this tool also works with Mac and that's a good new for Mac users as they will be able to use such a great and innovative tool. Its security is also very good. That is a nice question. Why you should use KeyLemon Crack to make it Gold or Platinum Version. The answer to it is that it works good in Trial version but it works great in Gold or Platinum Version. These upgraded versions let you add your Face Model in different lighting conditions which is a great option. Also the upgraded versions have more security like Hijackers Tracking, Permanent Protection, Multi Model (I discussed it above), etc. Here Hijackers Tracking means that the software will capture some Images of the person who is using Computer when he/she tries to open the Lock. Permanent Protection means that it will lock your Computer when you are not using it. So these reasons are enough to say that we should use KeyLemon Crack. How to Use Keylemon Crack? To use KeyLemon Crack just follow the Simple Steps given Below. 1.) Download the Keylemon Crack from below. 3.) 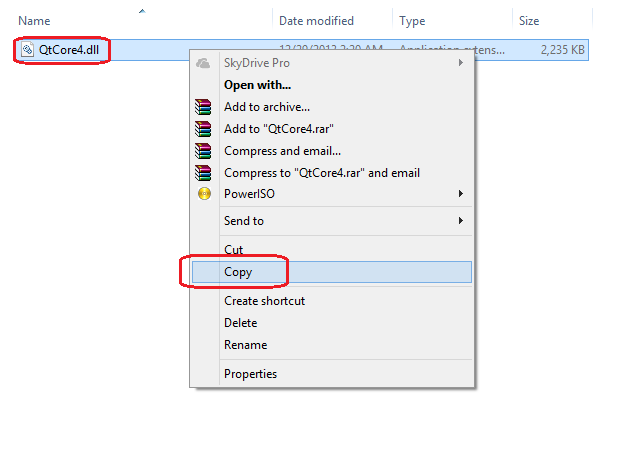 Copy the File "QtCore4.dll" from the Crack folder you Downloaded. 4.) 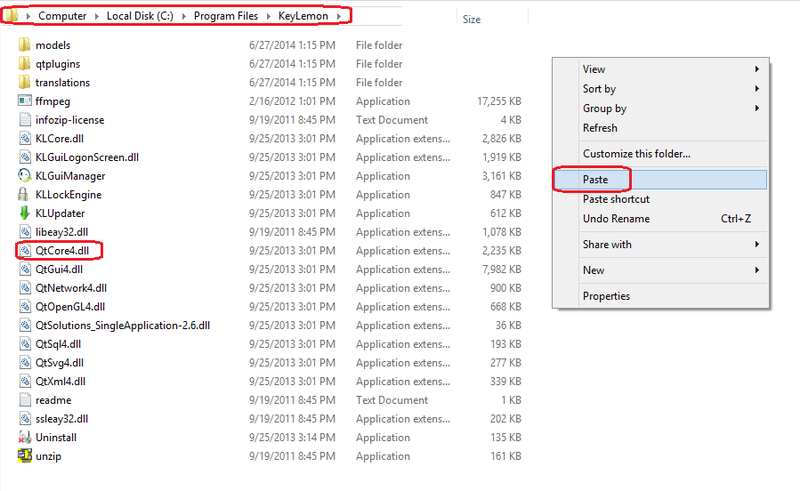 Paste it in "C:\Program Files\KeyLemon\". 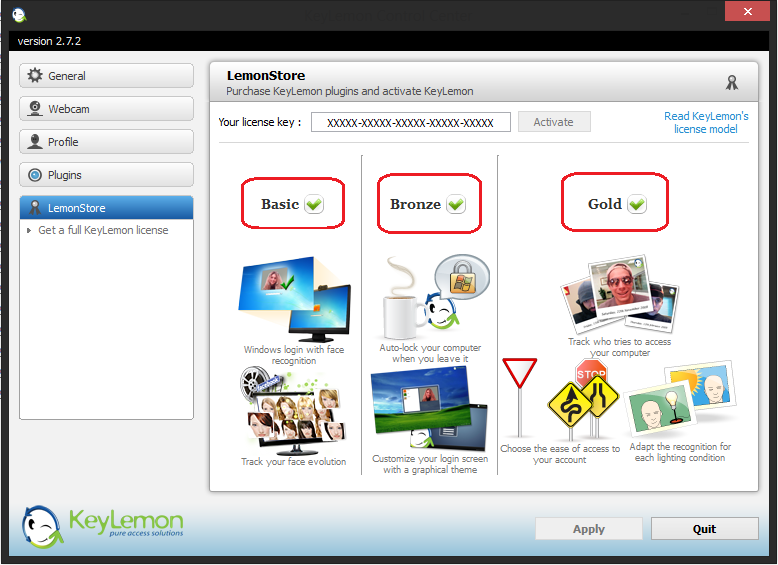 You now have KeyLemon full Activated with Gold and Premium Activation. You can Download KeyLemon Crack for Free Just Click the Download Button. If you face any Problems Regarding the Crack, Post a Comment. Liked this Post, Don't Forget to Like us on Facebook or Join us on Our Facebook Group!! Yogesh Jethwani. I am a Student of Class 12. I am very Interested in Computers and Blogging, so I decided to start "YJ-ES Latest Buzz" and I am Working hard on it. Liked the post? Why not Share it! Subscribe To Get FREE Post Updates! YJ ES Latest Buzz is a Technology Blog maintained by Yogesh Jethwani (Admin) and Ekaksh Sharma (Co-Admin). On our Blog you can get many things for free! Read More about us here. Check out our Alexa Ranking from the widget given below. Copyright © 2014 YJ ES Latest Buzz • All Rights Reserved.